“This year , we made our website content development one of our top company priorities. Luckily, I did not need to look around to find assistance on that front. I had the distinct advantage of knowing Tess since 2004 and knowing the level of writing talent she possesses. Unlike most companies who just hire some generic writer, we knew we wanted Tess to work with our team because she understands the construction market, knows how home builders conduct their business and can put herself into a homeowners’ shoes. We wanted more than just a writer; we wanted someone who truly understood the market space we operate within. I called Tess to see if she would assist us and after that phone call, I realized she could and would play a larger role in our marketing efforts. Besides authoring several of our first blogs, she quickly got the data she needed from us and created our first eBook, a consumer’s guide to garage floor coatings. That first eBook has played a key role in increasing our website’s traffic and assisting our sales team with faster lead conversion. Subsequently, Tess assisted me with creating a 2nd eBook just a short time later. We even asked her to author blogs for our business, but do so as our guest writer, not just a ghost writer. My consultation with Tess was very helpful. She shared some basic online marketing concepts which will help my business to grow for many months to come. Working with Tess on the creation and development of our newsletter campaign has been a real pleasure. She is a wealth of knowledge when it comes to marketing for those in the construction industry. Our very first newsletter was recently mailed, and we have already heard lots of positive feedback from past customers and potential customers who have found the content informative and beneficial. Tess’s knowledge of the industry, prompt correspondence, patience, and skills in newsletter and content marketing in particular are just a few of the reasons I would recommend Tess Wittler Writing Services to anyone in the construction trades! I am pleased with Tess’ approach to newsletters. She is easy to work with, understands the industry and her process is geared toward taking the hassle out of implementing a newsletter program. I give her the information and she goes to work. I recently contacted Tess to redesign our website. We are a small company and my husband was skeptical when I told him how much I wanted to spend. He said ‘I like the old one just fine.’ The design process was really easy,and Tess was always upbeat in her communications. Tess asked enough questions so she would knew what we liked. Tess and the designer came up with three themes and we had very few revisions to the one we chose. The new website is beautiful and presents the professional image that our company needed. My husband is now excited and convinced it was money well spent. Fran Amick, Co-Owner, Spectrum Homes, Inc. I am constantly amazed by Tess’ writing abilities. It is truly a gift. Time and again she delivers one great newsletter after another. 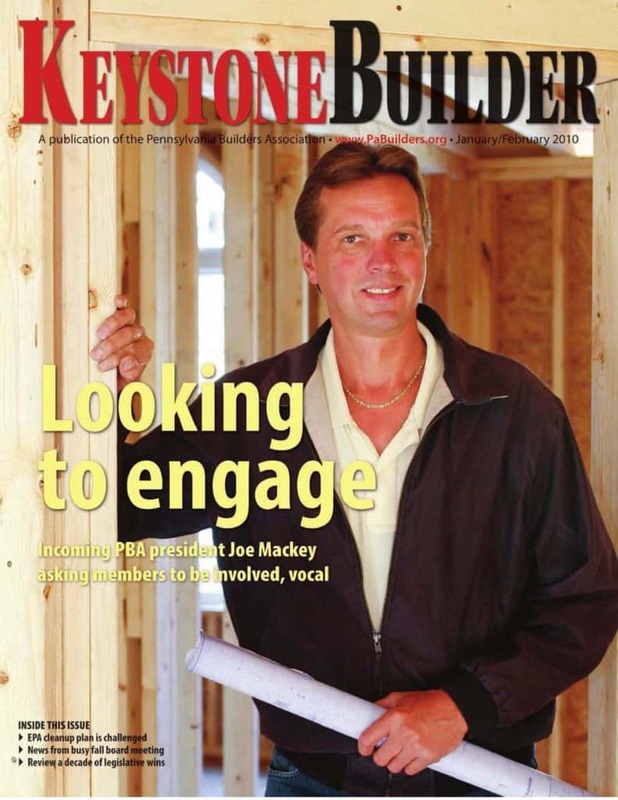 I am pleased to write this note to say ‘Thank You’ for writing the story about my company and personal history for the March  issue of the Keystone Builder on behalf of the Pennsylvania Builders Association. Most importantly, your approach to get the interview off to a great start by asking me to share some personal history made me feel as though I was developing a friend, while completing the task at hand. Your writing skills have proven to me, when the search for professional writing services arises, you are number one and the only one on the contact list. 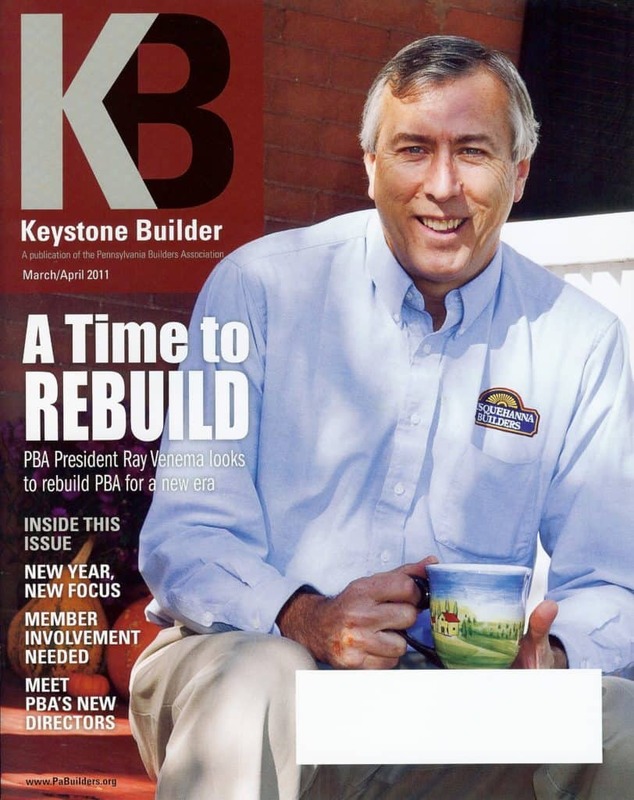 Ray Venema, 2011 President, Pennsylvania Builders Association and Owner of Susquehanna Builders, Inc.
I’ve had the opportunity to work with Tess many times over the years. I first worked with her when I was an elected official with the PA House of Representatives and now as an active member with the HBA of Metro Harrisburg and the Pennsylvania Builders Association. As the 2010 President of the Pennsylvania Builders Association, and owner of Target Homes, I would like to acknowledge the superb talents of Tess Wittler Writing Services. When the PBA asked me to participate in an interview with a writer to ‘tell my story,’ I immediately asked if I could choose the writer. Having known Tess Wittler and worked with her on occasion during her former employ with the PBA, I knew that her straightforwardness and dedication would help make my story shine. “Tess’ ability to dig deep and become one with the job gave me confidence that the article would not disappoint. Her style and approach to the interview process was easy and comfortable, and allowed me to share my inner thoughts and come across as the professional I aspire to be. She took the extra time to find out what my thoughts were, and not what her preconceived or assumed notions might otherwise tend to be. When she presented her rough draft to me, it left me with barely anything I wished to edit. She definitely nailed it and made it sound as written by a well-known and long acquaintance. Surely when I’m rich and famous one day, I’ll have her write my biography! I had the opportunity to work with Tess Wittler on a number of occasions [in 2010] during my year as president of the HBA of Metro Harrisburg. It was an absolutely wonderful experience working with her and her company. Not only was she professional but also intuitive and insightful to the tasks at hand. I would highly recommend Tess to anyone needing the writing services her company provides. I recently entered an interior design competition that required photographs of a room design as well as a design synopsis describing the process of creating the design. Although a picture is worth a thousand words, with over 900 beautiful and creative designs to choose from at the competition, it can be the design synopsis that will make the difference to the judges in putting one beautiful design above another. I hired Tess to help me write the design synopsis. She interviewed me and asked lot of questions about the design: How did I choose the color pallet? What inspired the design? What was the client’s reaction to the finished project? What fabrics were chosen and why? These were just a few of the questions Tess was interested in learning about, and with her ability to take my answers and paint a picture with words, she crafted a beautiful design synopsis. I’m thrilled to say that with Tess’s words and my design, I was awarded 2nd place in the competition. Thank you, Tess! Tess played such an important and instrumental role in getting my book published. Writing a book has been a long-time goal of mine but the task just seemed too big. Tess suggested I take my ‘vault’ of previous articles, transcripts, and e-books and working it into a useable manuscript. It was just what I needed to get the ball rolling. 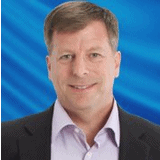 “I’m proud to say that my book, The Magic of Newsletter Marketing – The Secret to More Profits and Customers for Life, is now selling well on Amazon.com and more importantly, it is bringing me new business. I not only appreciated Tess’ skill and professionalism, but also her ability to work independently and get the job done on time and on budget.